I installed VHS to DVD 3 Plus on an ASUS Q200E laptop running Windows 10. I get No Video Signal. This is the initial install. It is the latest version of the software and the current Video Capture device, model HU3180E. I updated the software after installation. There were previous versions of Roxio software on the computer. I uninstalled all other Roxio software and any other video or audio capture software. I uninstalled any previous video capture device drivers. In the Device Manager screen, all Roxio devices are working properly and have the latest drivers. can monitor the signal on the TV as well as the laptop. The device is working properly. I have a Dell desktop with Roxio Creator NXT 3. 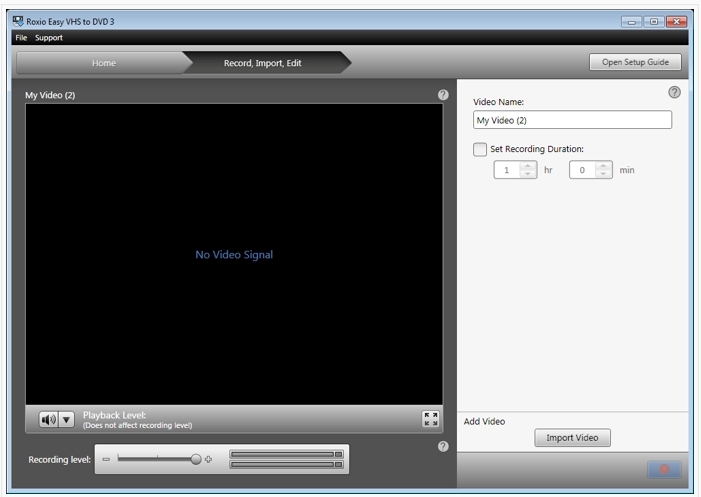 The device works with the video capture app. Unfortunately, my TV and VCR are in another room, so I need the video capture capability on the laptop which I set up next to the VCR. Everything else seems to be working properly except that I get a No Video Signal message in VHS to DVD running on the laptop. You should show the two bottom entries if installed correctly. You might show the other devices entry that won't work. Mine is the same issue: "No video signal"
You found this post did you read post #2? What did you do after you read post #2? I have the same problem. I did have the anti virus on when I loaded the software to my PC. I can record video from my camcorder. Ihave converted about 15 tapes this way successfully. With my VHS, the first time I used it I had both audio and video. On my second use, all I get is the audio, the video cuts in and out. Mostly is it is not there. I have tried restarting the computer and the software - no help. I have a Windows 10 PC and a decent VHS machine. I have relatively short USB cables, I have I have plugged the Roxio into USB ports in the back of the computer, tried an alternative port, no luck. It shows the two correct Roxio USB controllers. 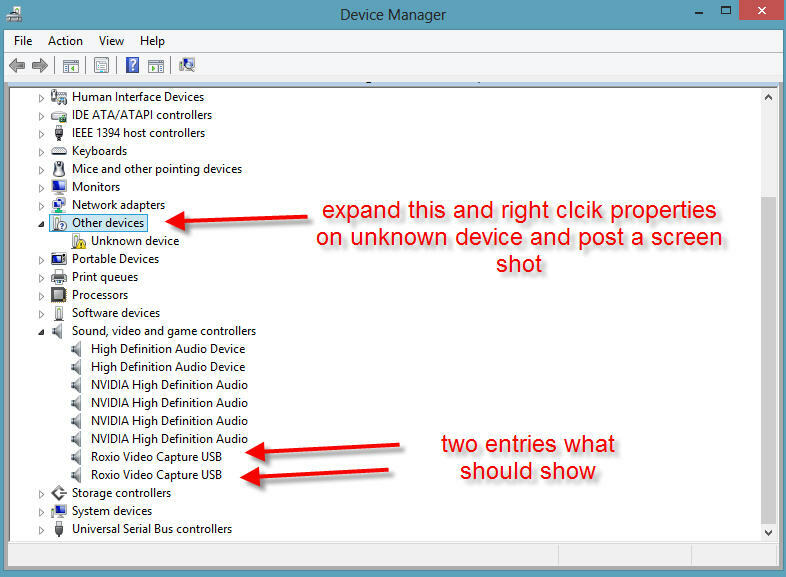 Device Manager shows the two Roxio video capture USB devices. What can I do now? The Roxio hardware /software is working ok, as you converted 15 tapes using your camcorder. I resolved the "No video signal" issue on Windows 10 by running EasyVHS2DVD.exe as administrator.